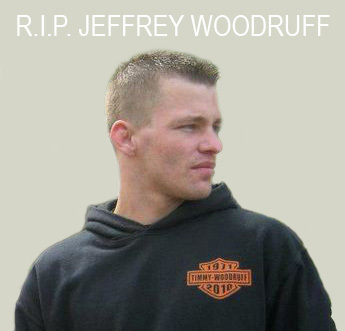 As far as killers go, the Kalamazoo River in Michigan, which deviously hid missing person Jeffrey Woodruff within its murky depths for three days and nights during the spring of 2013, is one of the deadliest. Its swift currents, chilly waters, and toxic bed of oily sludge are notorious, making it the least likely place a young man would venture to take a swim, be he intoxicated or stone cold sober. It was the scene of one of the most heinous crimes ever committed against nature, and one of the costliest as well. The Enbridge pipeline rupture at Marshall, Michigan on July 26, 2010 unleashed about a million gallons of heavy crude directly into the Talmadge Creek tributary system. Thereafter, a combination of worker incompetence and days of torrential rainfall served to carry the massive spill miles downstream and into the Kalamazoo River. Propelled then by raging floodwaters, that highly contaminated effluence was estimated to have been just 80 miles short of reaching Great Lake Michigan itself when finally contained. But containment didn’t solve the crisis, for even today an enormous quantity of this unrefined oil sits on the river’s bottom, waiting to be reclaimed by the culprit corporation that negligently deposited it there. 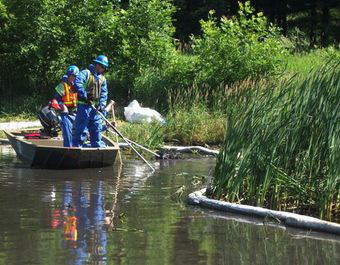 To achieve those ends, U.S. regulators from the Environmental Protection Agency recently ordered Canadian-based Enbridge Energy to, once and for all, dredge the Kalamazoo river basin. A cumbersome project which the derelict company has so far stubbornly balked at doing, citing an already expensive cleanup attempt and some of the heftiest fines ever lobbed against an industry offender. As a result, locals don’t even trust drinking from their wells these days, let alone swimming or fishing in the river. Michigan native Jeffrey Woodruff was a recent transplant to Kalamazoo’s otherwise picturesque waterfront community of Saugatuck. There, the athletic 25-year-old had quickly secured gainful employment at Amsterdam Antiques, the proprietor of which happens to be longtime pals with the owner and operator of Wally’s Bar and Grill. On April 27, 2013, Woodruff had closed up shop for his then-vacationing boss, and, as the evening was still young and temperatures mild, he headed on foot to Wally’s popular watering hole to have a couple of beers and take in some tunes. For a twenty-something American male on a Saturday night, it couldn’t have been a more ordinary activity for him to embark upon, and by all accounts Woodruff did enjoy himself at the crowded pub, even though he’d arrived alone. Yet, by 11 PM, this notably outgoing and friendly newcomer, who apparently had no problems peaceably mingling with total strangers, would somehow vanish from Wally’s without a trace, never to be seen alive again. From the very moment the Woodruff Posse descended on Saugatuck, arriving there en masse within 24 hours of deducing their young man was uncharacteristically AWOL, they sensed something foul was afoot. An abandoned cellphone, an edgy barman, a barking boss, and prior 911 calls from passersby about an unconscious male lying prone in a lot near Wally’s Bar and Grill, placed only an hour or so after Woodruff disappeared, made them fear the worse. Incredibly though, police informed Team Woodruff that this unidentified comatose individual “was gone” when officers investigated around 12:30 AM, adding they had no particular interest in assisting their search party. “Gone” as well was the film from Wally’s surveillance cameras, the skeptical rescuers soon discovered. All of it “mistakenly” erased, claimed the bar owner, when he inexpertly undertook to examine the video feed for clues. Two days later, on April 30th, the fully-clothed but lifeless body of Jeffrey Woodruff was discovered soaking in the corrupt waters of the nearby Kalamazoo. Like hundreds of other young men who’d met similar fates these past 16 years, he too was deemed the “accidental” victim of what has now evidently become the world’s most lethal mix: alcohol and a river. The dead man had a telltale gash across his knuckles, and an injured ear. This case is developing; visit the Killing Killers website to follow it, and view the special feature section Voices For The Dead to read an exclusive interview by Eponymous Rox with the family of Jeffrey Woodruff.